Last year we applauded Microsoft's entry into the music genre with Lips. It was a creative take on the karaoke game with unique LED and motion sensitive microphones, plus a packed song list with plenty of co-op options. Lips is back with the first sequel, called Lips #1 Hits. So what creative differences are there in the latest version to warrant your hard earned dollar? The biggest change with Lips has to do with the retail packaging. While the original game came with a very co-op friendly pair of microphones, the new game only comes with one. We were quite disappointed to see the change, as now you'll have to go out and drop an MSRP of $60 on another mic! To put that in perspective the original game released at $60 with two microphones - this time it'll cost you double that to get the same experience. Granted it is possible to find the additional mic for around $40 at various online retailers, but the expected cost is simply too high. 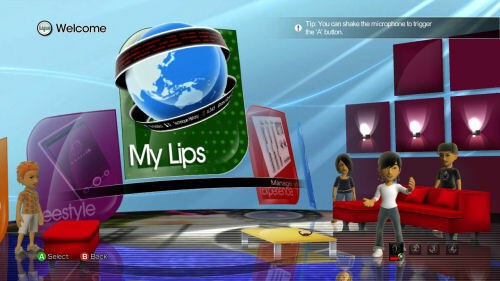 Lips #1 Hits now integrates your avatar onto the screen, giving the game a slightly more personalized appearance. Now when singing and trigger microphone moves your avatar will act accordingly. It's a nice little touch, but definitely not feature breaking. The basic game play remains the same, with singers earning medals for doing well, and unlocking stars by singing yellow lines of the song. You no longer need to activate this stream though by doing the appropriate gesture. Possibly the best feature for #1 Hits is for existing Lips owners. All of the original Lips songs are available to play right from the #1 Hits disc - they appear in the menus but you do have to swap discs to play them. It's a minor annoyance, but it's still nice to be able to play the old songs in the new interface. The ability to import your own songs remains as well. The original game went over pretty well at a party we had, so I had high hopes for #1 Hits. After putting our daughter to bed, our wife and I fired up the game to see what we could sing. Looking through the track list songs like U Can't Touch This and I Just Died in Your Arms Tonight stuck out at us. But overall, we were pretty disappointed. "None of these songs fit together," commented my wife, "it's like they just picked random songs to put on here. I really don't have any desire to sing most of these." That was kind of a bummer. But the bigger disappointment for co-op gamers is the lack of songs that are duets. The original game had a nice handful of tracks that worked well with two people, and were actually designed for two people. You can still sing any song in a combined score co-op mode, but this just has both people singing the same track. 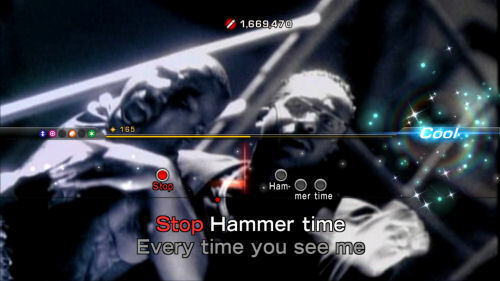 The songs that do have a duet mode are very confusing as well, as the game doesn't appear to divide it into parts, but just randomly assigns lines of the songs to each player. The real kick to the teeth for us personally was the online tracks that were available. I think we counted almost a dozen songs available to purchase we would want from the new "What's Hot" section. So now not only did we just pay $60 for a game and $60 for another microphone, but you'd have to invest an additional $25 to get the real songs you want to sing. I'm still waiting for the day that we get a music game that's completely ala carte. Give me the game, half a dozen songs, and access to the music store for $20. I'll buy the rest from what I want. Lips #1 Hits does offer 5 free downloads with the game, but these are limited to five packs of songs which are chosen from three available packs. 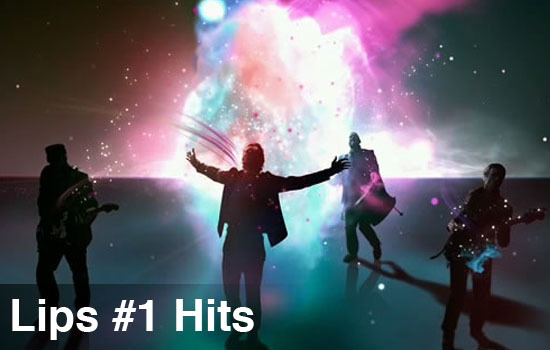 Overall I can't help but feel like #1 Hits just missed the mark for us. Perhaps the track list will appeal to other singers, or would-be singers. For us we're more than happy using the original and downloading the few tracks we want. Thankfully the retail packaging has the entire song list on it, so you know exactly what you are getting before dropping your cash. While the game play and concepts are still solid, there's not much new here over the original to warrant an upgrade. The Co-Op Experience: Sing with your friends in different scoring modes. Page created in 1.8075 seconds.